I have a fun new video up on my YouTube Channel, it’s a wet bag tutorial! I tested these out and basically you put damp bathing suits, liquids or even cloth diapers in them and the PUL lining makes it so it won’t get other items wet! 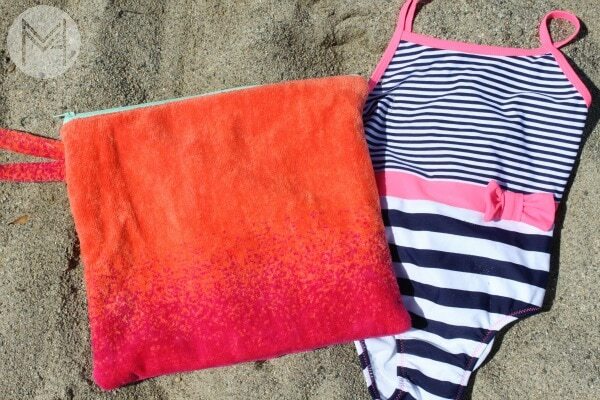 I used a towel I bought from Target for a fun summer style bag, perfect for the beach or pool. Here is the video and some photos! Let me know what you think! Cut handle from left over piece of terry cloth at 2.5 x roughly 9 inches. This can be adjusted. 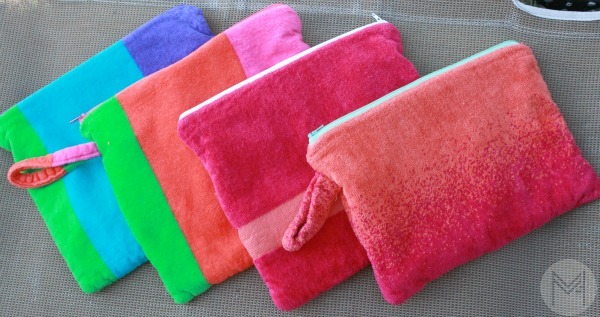 Place zipper teeth down on the right side of the terry cloth towel on the 13 inch side. 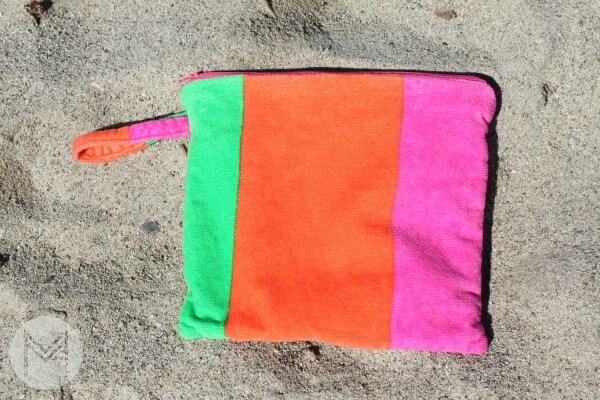 Place shiny side down of the PUL and line up the towel, zipper and PUL – pin or clip in place. Sew along the zipper, slightly less than 1/4 inch. Place zipper teeth face down on the other 11 x 13 inch towel. 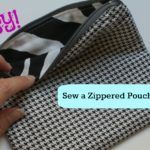 Place shiny side of PUL down, clip or pin in place and sew along the side of the zipper. Place terry cloth right sides together and lining right sides together forming a rectangle. Pin or clip in place all the way around. Pin handle as shown in the video and sew along the long edge. Take care at the zippers and handle. Go over the handle a few times. 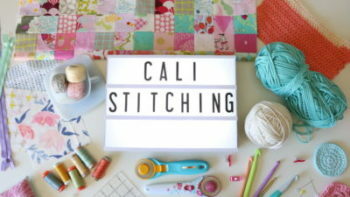 Leave a 4 inch hole on and back stitch to allow for turning. 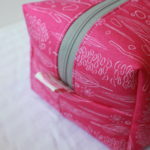 Trim zipper tape with non fabric scissors. Turn pouch right side out. Pul PUL lining in side the bag and zip it closed! Put the bag through the wash. 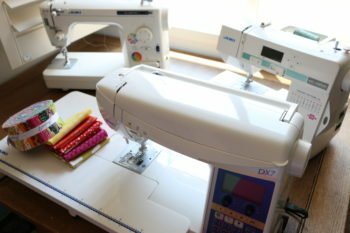 The heat will help seal up the holes we made from the sewing machine at the seams. 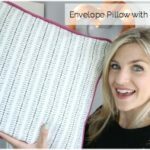 This Bag is 100% washable! Machine wash warm, tumble dry low. *This post contains affiliate links. It is no cost to you and helps me purchase materials for tutorials. THANK YOU for the support!! 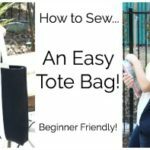 How to Sew an Easy Tote Bag! That’s so awesome! Thank you! !